Note: For a more detailed investigation and analysis, visit this page. During Meier’s Great Journey in space described in Contact Report 31, which took place from July 17-22, 1975, he allegedly witnessed the coupling between the USA Apollo spacecraft and the USSR Soyuz spacecraft on July 17. This was a joint venture of the USA and USSR called the Apollo Soyuz Test Project (ASTP). He was also allowed to take photos of this event allowed to take pictures of the Apollo-Soyuz coupling and also of various stars and planets. Soon after Meier’s journey, it was discovered that many of the pictures were manipulated or replaced with forgeries. This allegedly prompted the Plejaren ET Quetzal to take away and destroy most of Meier’s forged pictures, but a few dozen of the outer space pictures were left with FIGU Core Group member Guido Moosbrugger. These pictures were published as either genuine or almost genuine with at most some minor falsifications in the 4 editions (German: 1991 & 2012; English 2001 & 2004) of Guido’s book ‘Und sie fliegen doch’ (And still they fly) and Pleiadian-plejaren Contact Reports volume 1. Apollo (ASTP) – The Apollo, sometimes referred to as Apollo 18, that was involved in the Apollo Soyuz Test Project (ASTP). Apollo would dock with the Russian craft Soyuz 19 on July 17, using a special docking module (DM) to make this possible. Soyuz 19 (ASTP) – The specially designed Soyuz 7K-TM craft that was involved in the Apollo Soyuz Test Project (ASTP). 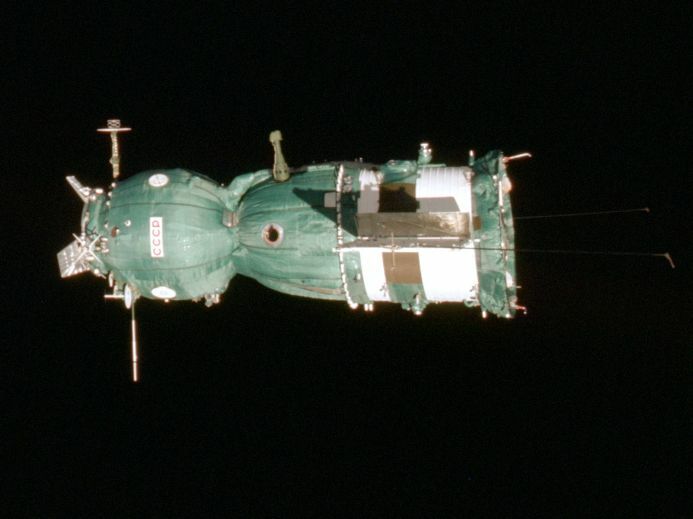 Salyut 4 – A Russian space station that was part of the Salyut programme. Skylab – The first US space station. It was unmanned during the Great Journey. A comparison of Meier’s photos with a photo of the real Soyuz 19 (right picture) reveals there are many differences regarding color and the configuration of the antennas and the solar panels. 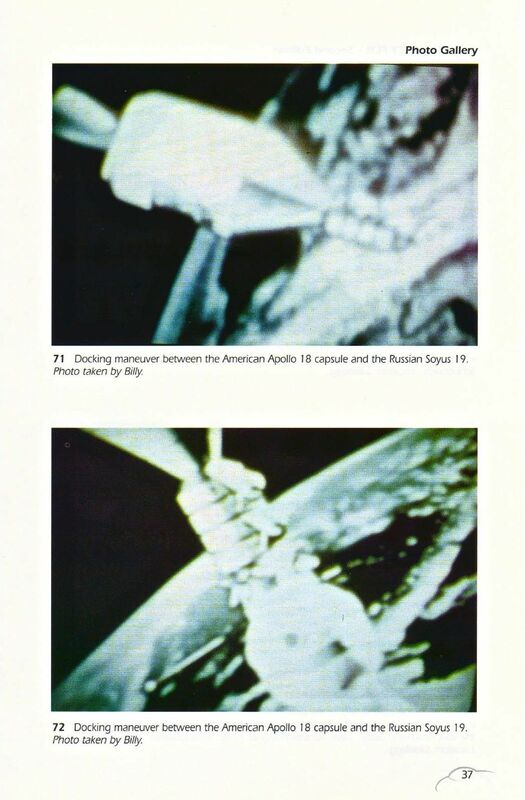 So obviously Meier’s pictures aren’t taken from the real Apollo-Soyuz coupling. 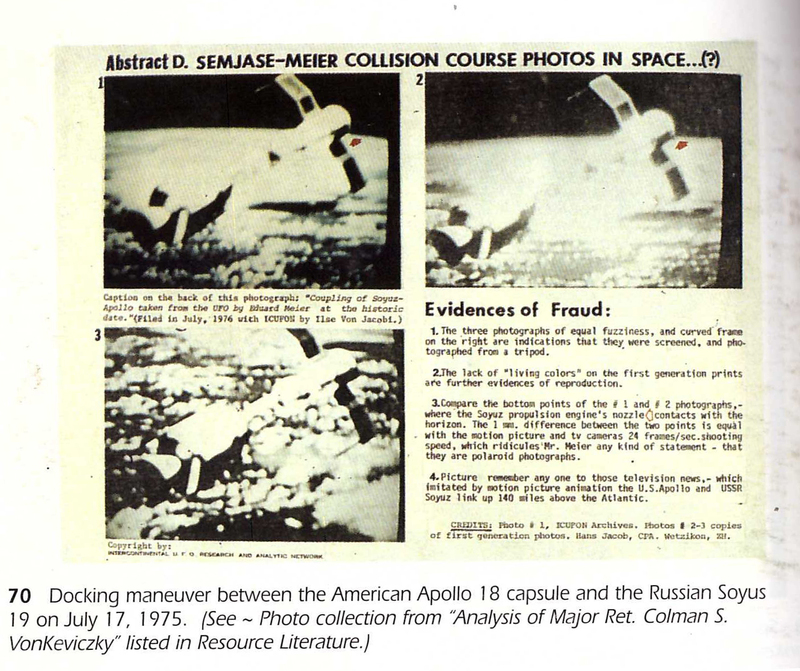 Meier’s pictures happen to be identical to the frames from these clips, which conclusively proves the pictures are from these animations and not from the real Apollo-Soyuz coupling. Following is a comparison between the Meier photo’s and frames from the animation clips. Arrows and frames are inserted to point to the similarities. Note (June 23, 2015): There is a picture of Meier’s Soyuz spacecraft (see below) – which he promoted as genuine at least up to the year 1978 and perhaps even to this day – shown in the Randy Winters video, that is the same as the animated Soyuz model seen in the above NASA animation. In short, according to this article the photos in PPKB 1 are a part of a collection of 42 genuine photos with at most some minor falsifications. 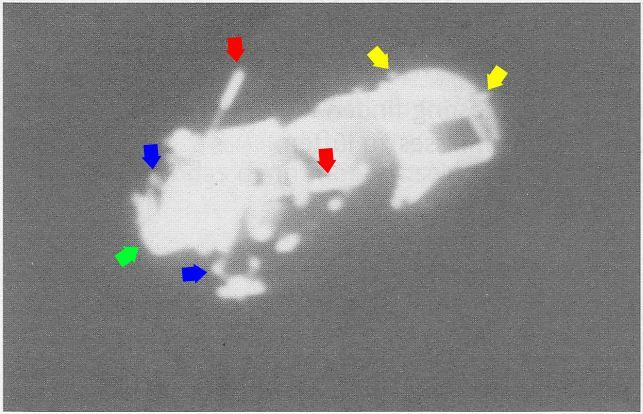 The first seven of these pictures published in PPKB 1 are on pages 232 and 234, which describe Meier and Semjase witnessing (and photographing) the Apollo Soyuz coupling. At first sight it is not clear what the crafts in the above pictures actually represent, whether they are related to the Apollo- Soyuz coupling or not. 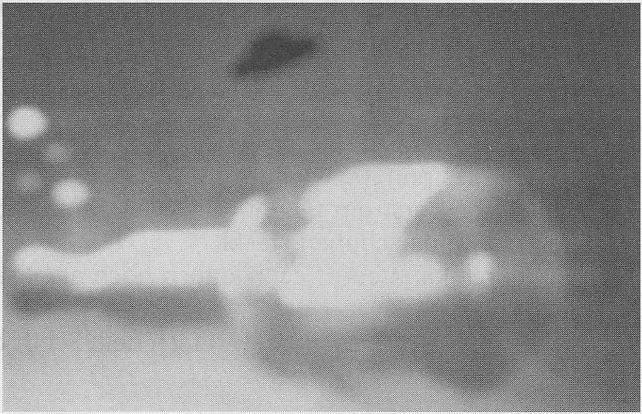 The Contact Report suggests that Meier may also have taken photos of other terrestrial and extraterrestrial craft. Below are the results of our analysis of these 7 pictures, not necessarily in the same order as they are printed in PPKB 1. This clearly resembles the Soyuz spacecraft model also depicted in Und sie fliegen doch/And still they fly, from which it is established that it was originated from the NASA animation broadcasted across the world in the early 1970s. 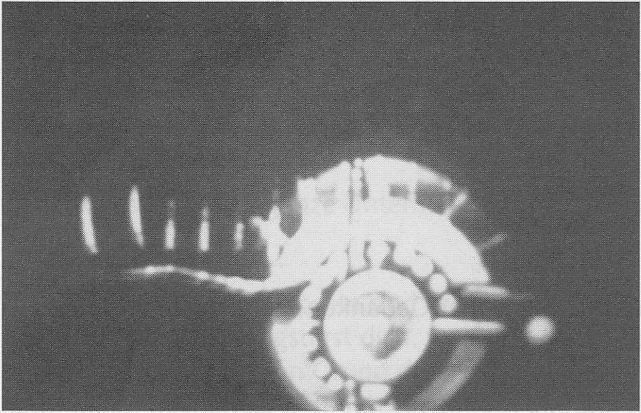 It also cannot be a picture of the only other Soyuz in space during the Great Journey, Soyuz 18, because it was docked with the Soviet Salyut 4 from May 24 to July 26, which entirely overlaps the time of the Great Journey, and it was a Soyuz 7K-T type craft, which had long aerials in the place where other models has solar panels, which in this model were replaced by batteries. The craft in this picture also seems to be a Soyuz craft, the Instrumentation & Service Module (ISM), Descent Module (DM) and Orbital Module (OM) can be clearly recognized. For the same reasons already mentioned under the previous picture it cannot be Soyuz 18. 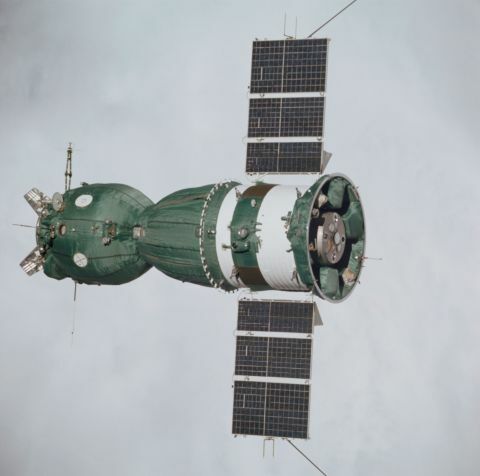 Even though features like the antennas seem to be similar to those of Soyuz 19, it can also not be a photo of the real Soyuz 19, since during the time of the Great Journey, the solar panels should be extended instead of retracted like on this picture. This picture was likely taken from an animation, illustration or from (a photograph of) a mock-up model. 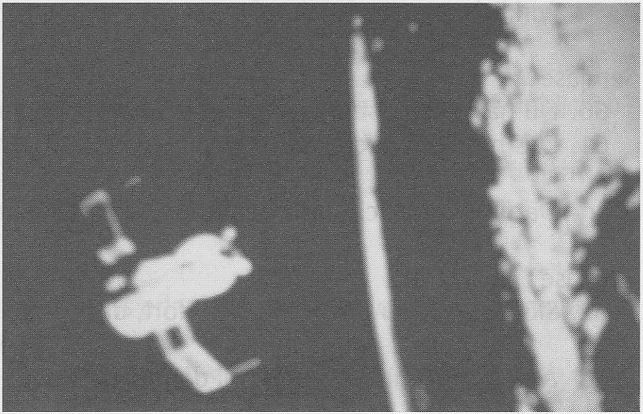 Although Semjase was allegedly able to make parts of the spacecraft transparent for Billy to see the astronauts/cosmonauts inside the craft, as is described in CR 31, there seems to be no apparent reason to only make the insulation invisible to photograph the hull, rather than the cosmonauts inside. Considering the analysis results of the previous pictures this explanation seems to be extremely far fetched. Also it would only raise exactly the strong doubts about the authenticity addressed here. 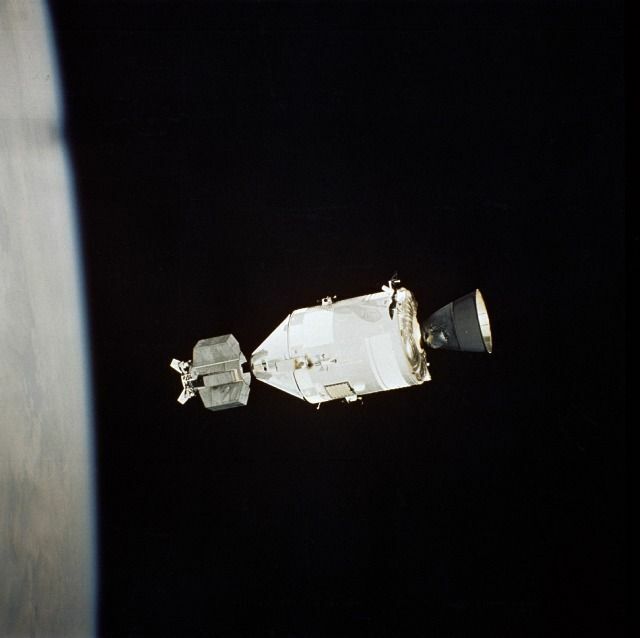 The only time during the ASTP mission Apollo 18 was solo in space was during the transposition, docking and extraction procedure with the DM on July 15 (similar to the procedure with Lunar Exploration Modules (LEM) as can be seen in this simulation video) and after the docking with Soyuz 19, when the docking module was released before re-entry on July 19. July 15 was 2 days before the Great Journey started on July 17, and since CR 31 clearly suggests the ASTP scene was left by Billy and Semjase at most a few hours after the docking took place to visit other places in the universe, Billy also could not have taken this picture on July 19. Again, the possibility of making parts of the spacecraft invisible could be considered. 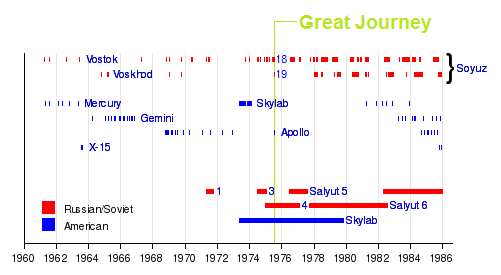 It seems far fetched however to suggest only the DM or the DM and Soyuz 19 were made invisible to make this picture. It seems more likely the source of this picture is not the Great Journey, but rather an animation of an Apollo mission or another picture, for example taken from a LEM during any moon mission. The design of the object in the above picture is clearly very different from the Apollo or Soyuz spacecraft. 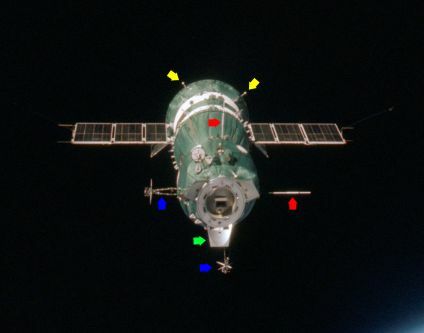 There seems to be a resemblance with the Soviet space station Salyut 4, the circular section in the middle, surrounded with small spheres which are pressurant gas tanks, would be the docking port to which a Soyuz craft could dock, but as already mentioned before, during the Great Journey Soyuz 18 was docked with Salyut 4, so this photo would have been impossible, unless Semjase would have made the Soyuz 18 craft transparent, which again seems a very far fetched explanation. The configuration does match with the first Salyut space station, Salyut 1. 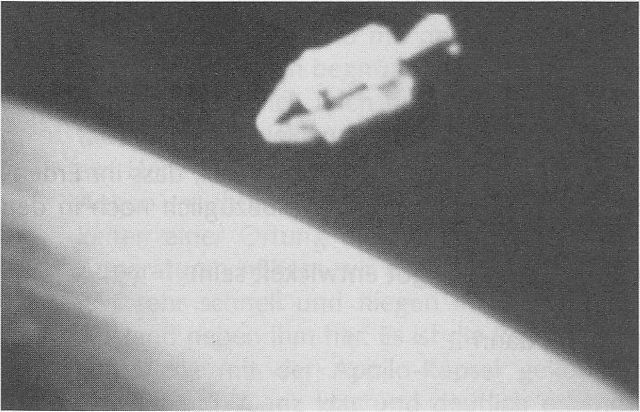 Since this space station had re-entered on October 11, 1971, it was not in orbit during the Great Journey, so Meier could never have taken this picture. On the foreground in the below half of this picture one or more unidentified spacecraft are visible. On the upper half there is a classic-flying saucer contour which might represent the craft which Semjase says belongs to her race. 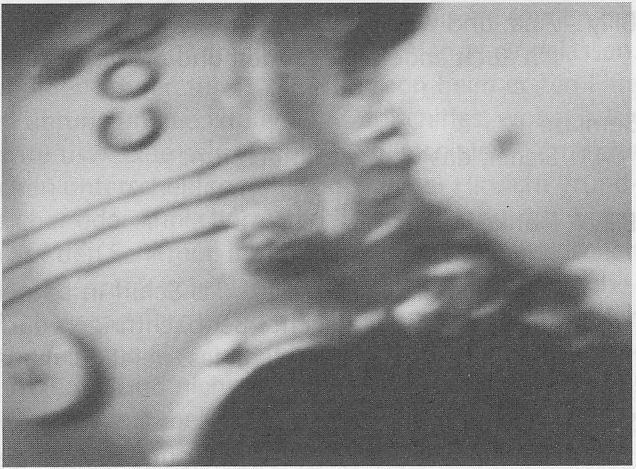 The circular dots on the left side could represent the four other extraterrestrial ships which according to Semjase were foreign to them and were only there to observe the historic Apollo-Soyuz docking event, as is described by Meier in CR 31. The object in the foreground seems to be a booster of some kind, but we have not yet been able to identify this craft. This simulation video shows something similar but not identical at 0:57 seconds. It doesn’t resemble any of the manned spacecrafts or stations in space during the Great Journey (Apollo 18, Soyuz 19, Soyuz 18 coupled to Salyut 4 and Skylab). Several people who run aerospace related websites and are knowledgeable on this topic could also not identify the craft in the image when we asked them to. Points 1, 2 and 3 – Even though we unambiguously demonstrated the pictures as 100% fakes, Meier and FIGU still maintains that these pictures are only falsified to a “degree” and claim that we require the originals to make any conclusions, which is very absurd to say the least. 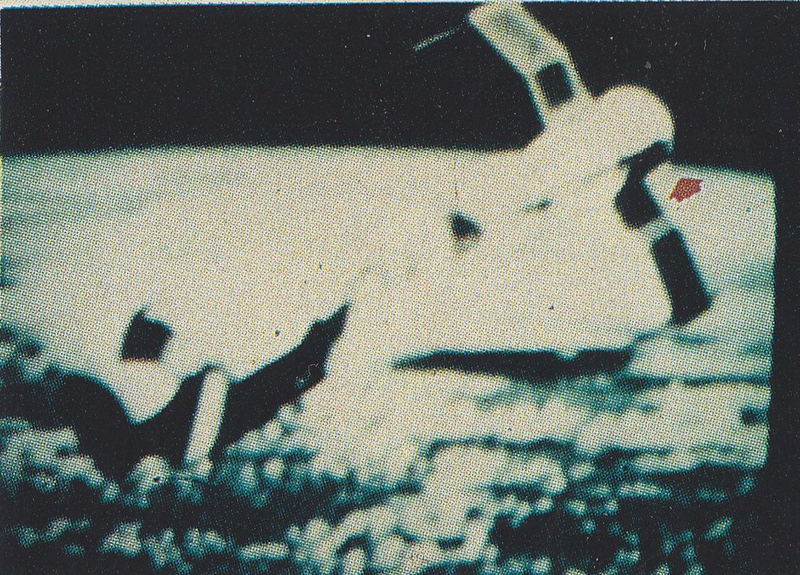 The analysis clearly shows that the pictures in PPKB 1 are 100% forgeries, as there are clear major differences between the craft on the pictures and their real counterparts, some pictures are even identical to the images from space documentaries, and some of the depicted spacecraft weren’t even in space during Meier’s Great Journey. Point 4 is outright contradictory since in FIGU Special Bulletin 20 these pictures were only referred to as genuine or almost genuine pictures. 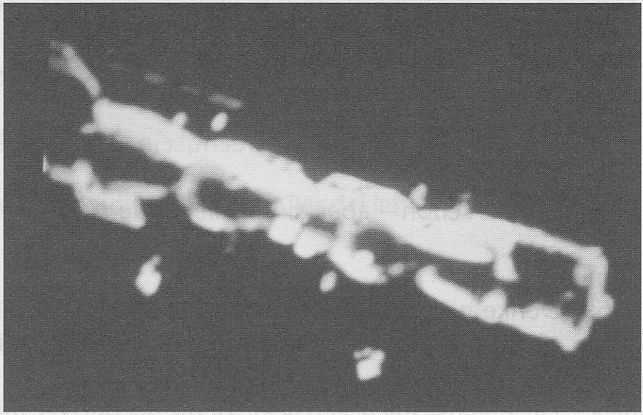 Strangely Christian Frehner also asserts that the pictures (Photo 5 & Photo 6) of the spacecrafts which in reality does not even exist in space in 1975 should be viewed as illustrations. His response is so absurd since the obvious question is – Why would Meier claim the ownership and insert the pictures of those spacecrafts in his book as illustrations, when in reality they weren’t even in space during his space journey ? There is no discussion whatsoever available in the contact reports on these Soviet spacecrafts – Salyut 1, Soyuz 4 and Soyuz 5. In conclusion, Meier and FIGU’s responses remained vague, evasive, absurd and even contradictory to the statements made earlier in the FIGU literature. 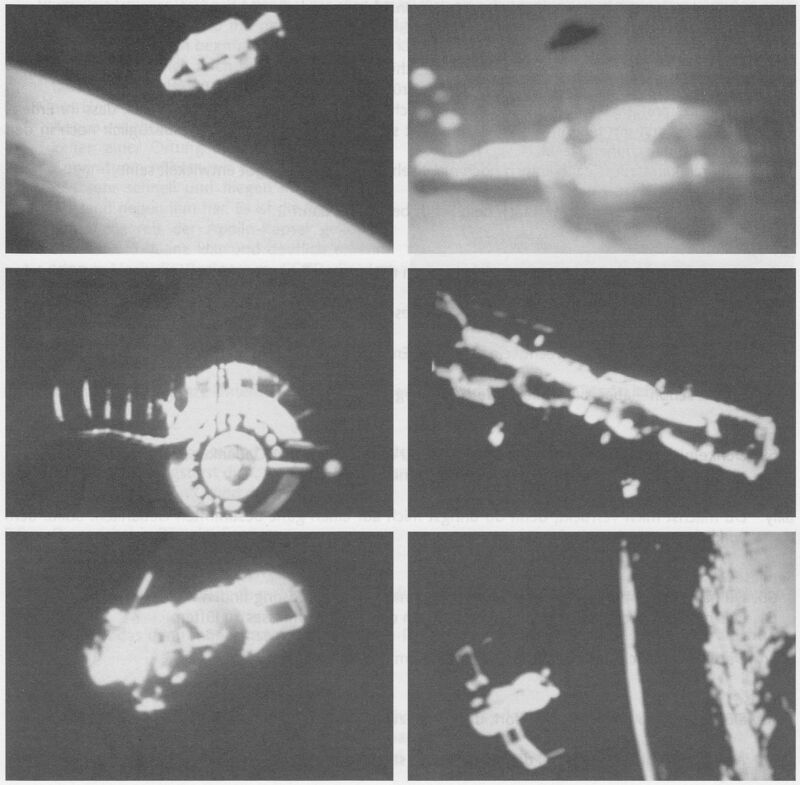 We have analysed 5 pictures from Guido Moosbrugger’s book ‘Und sie fliegen doch/And still they fly’ that Meier allegedly made of the Apollo-Soyuz coupling on July 17, during his Great Journey in space. All these 5 pictures turned out to be from a NASA animation from the early 1970s. Furthermore we’ve analysed 7 pictures from PPKB 1 of which it was according to FIGU Special Bulletin 20 – “it was strictly ensured, with the help of Ptaah, that it only concerned “Billy’s” genuine pictures or his pictures that were only slightly falsified by Schmid, whereby the aforesaid falsification, for a logical reason, found no use”. Nevertheless, 6 of these pictures turned out to be fake for different reasons. 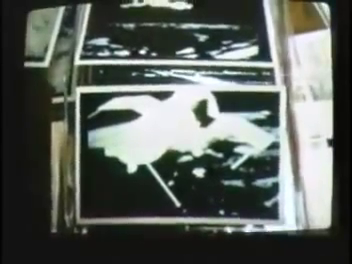 For 2 of them, we even found identical frames in documentaries from the late 1960s and early 1970s; while 1 picture remained unidentified so far. Are Plejaren ET’s who are allegedly 8,000 years ahead of us in the fields of science & technology and 30 million years ahead of us spiritually, incapable to detect these simple fakes during their photo verification process ? Refer to Part 3/3 in this section of the timeline for a list of even more contradictions and absurdities. Though the pictures are clearly forgeries, we cannot draw any conclusions as to how these pictures came into the possession of Meier. In August 2014 these results were also reported to Meier/FIGU by several people and questions about it were asked by e-mail and also on the forum (see Timeline of Apollo-Soyuz et al.). So far Meier/FIGU has not given any satisfying, logical explanation and seems to consider this a closed topic.